To acces the stream you need an up todate version of QuickTime. 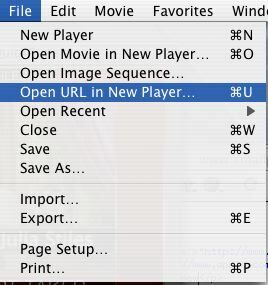 Visit the Quicktime website and download the appropriate version for your computer. The plan is to provide live feedback by participants by way of a chat room. At this time it hasn't been decided which chat client will be used. Or at least a dedicated chat room built for the purpose of this study. Make sure your speakers are plugged in and turned on.